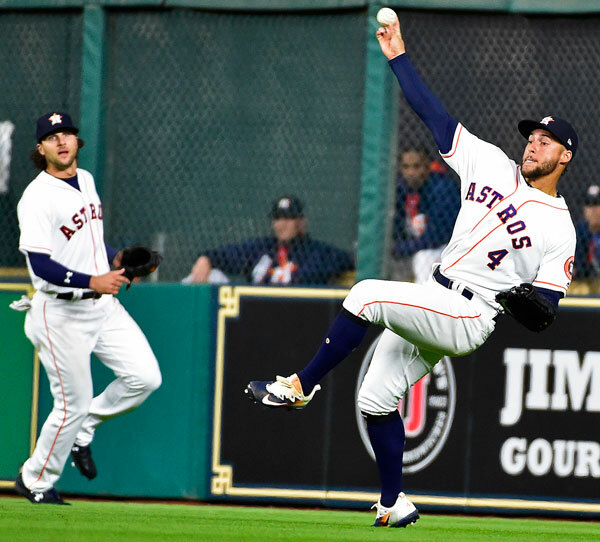 HOUSTON -- George Springer wasn't quite sure if his towering fly ball was going to have enough distance. Three feet shorter or to the right, and it might be an game-ending fly out. 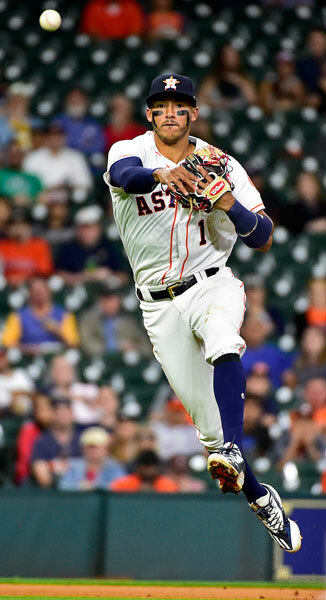 Instead, Springer's shot narrowly crossed the yellow line for a game-winning three-run homer in the 13th inning, capping a five-RBI game and lifting the Houston Astros to a 5-3 victory over the Seattle Mariners on Wednesday night. "I knew I had hit it OK. I was just glad it went over the line," Springer said. Springer's shot off Chase De Jong (0-1), who started the inning to make his major-league debut, landed in the farthest seat of the first row of the left-field Crawford Boxes. 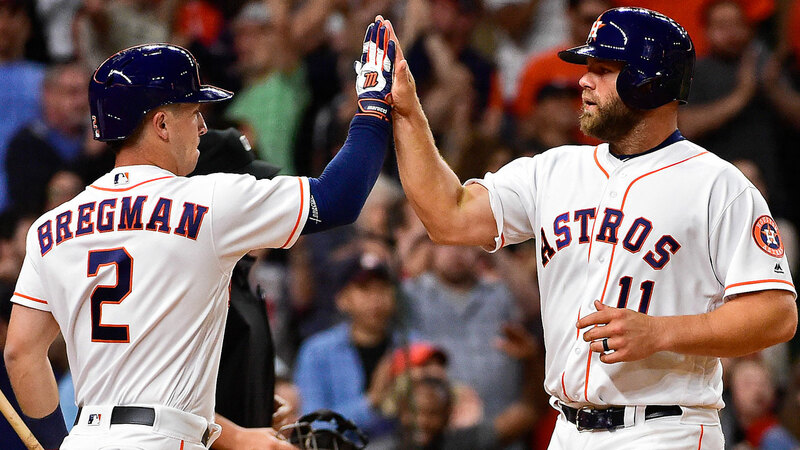 Evan Gattis drew a one-out walk and advanced to second on Norichika Aoki's single with two outs, setting the stage for Springer's big hit. "I just didn't want to walk him, but I need to make a better location down," De Jong said. "He's a pretty aggressive hitter. It was a strike. He just got too much wood on it." 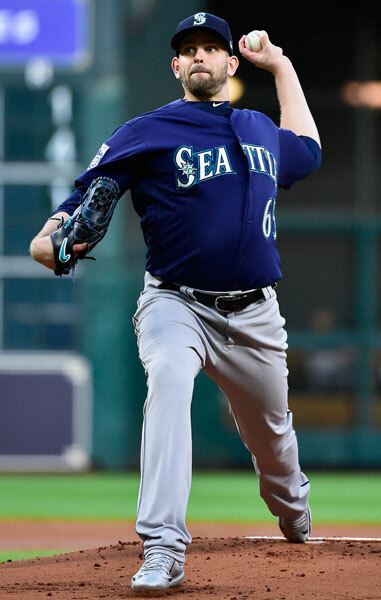 De Jong was called up from Triple-A Tacoma for his first stint in the majors on Monday because fellow reliever Dillon Overton went on the paternity list in anticipation of the birth of his first child. "Chase handled the situation about as good as he could," Mariners manager Scott Servais said. "It doesn't get any tougher than making your major league debut in that spot. It was just one of those crazy games that ended up really crazier than I could've imagined." In the top of the 13th, Houston reliever Jandel Gustave walked Mitch Haniger, Robinson Cano and Nelson Cruz to load the bases to start the inning. He was replaced by Brad Peacock (1-0), who walked Kyle Seager on five pitches to drive in the go-ahead run before getting the next three hitters. "We certainly had them on the ropes," Servais said. "They gave us a crack and we should've just jumped right through and scored three or four there." 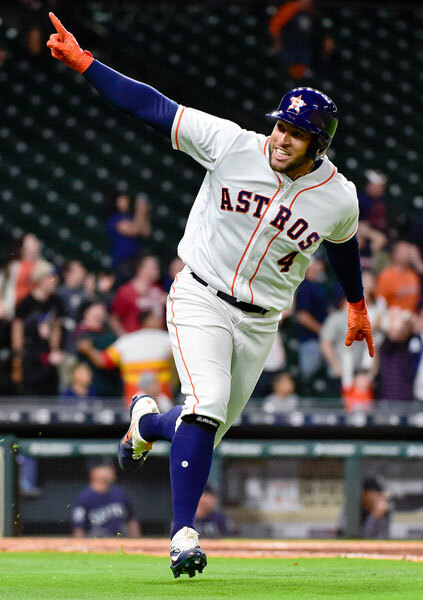 The Astros improved to 3-0 for the first time since 2001, while dropping the Mariners to their first 0-3 start since 2011. "It's a nice way to start the season," Astros manager A.J. Hinch said. "I'm proud of our guys because we fought through. We haven't played the best in our last two games, and we found a way to win some close games." 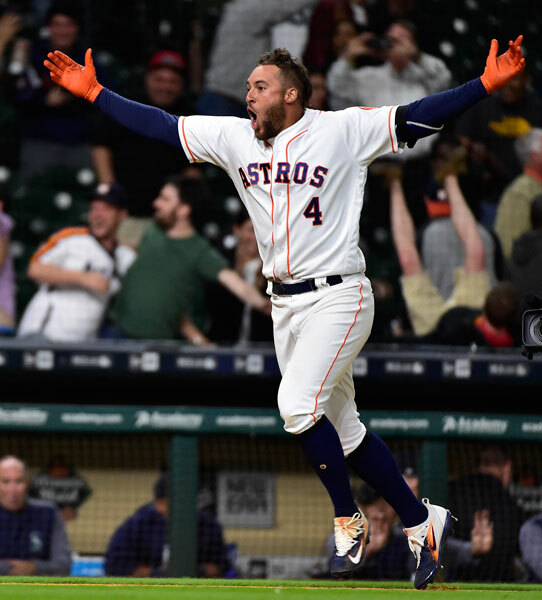 Springer also had a two-run double in the seventh to tie the score against Seattle reliever Dan Altavilla. Houston had at least one baserunner in eight straight innings starting in the sixth. 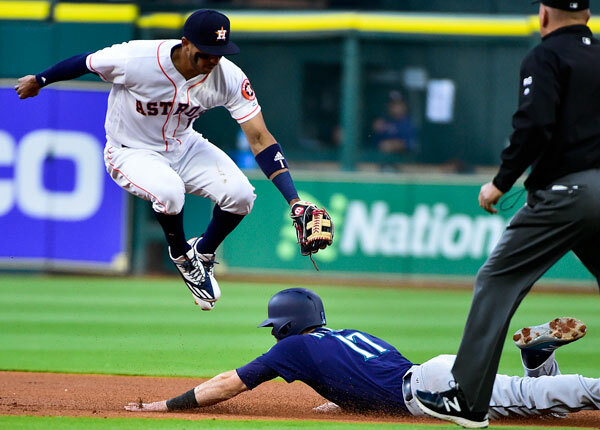 The Mariners used nine pitchers in the game, while the Astros used seven to keep the hitters in check. 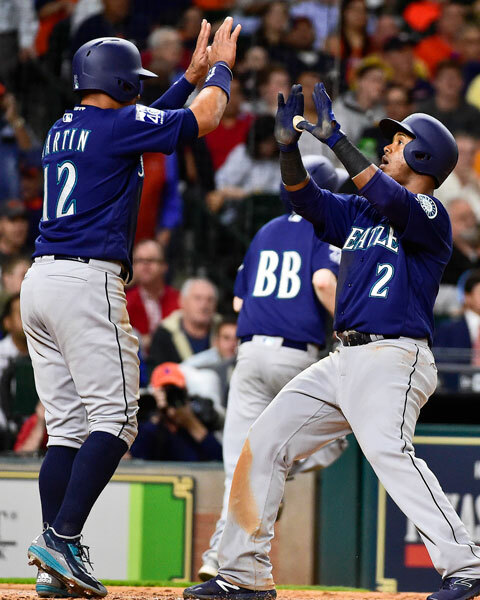 Jean Segura homered off Houston starter Charlie Morton to put Seattle up 2-0 in the fifth inning. It was the Mariners' first home run of the season, more than 22 innings into the year. Last season, the Mariners homered in the first inning of the opener. The Astros struggled against Seattle starter James Paxton, a hard-throwing lefty. If they weren't behind on his mid-90s fastballs, they were chasing off-speed pitches in the dirt. 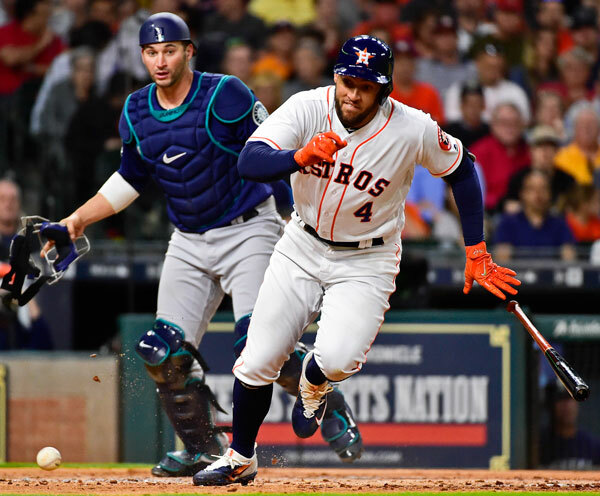 Two Astros batters reached base after striking out on wild pitches that got past Seattle catcher Mike Zunino. Paxton allowed just two hits, one walk and no runs in six innings, while striking out five. Morton gave up the two runs and five hits with two walks while striking out four. Cano -- who entered the game as a career .364 hitter with a .420 on-base percentage at Minute Maid Park -- went 0 for-5 with three strikeouts. 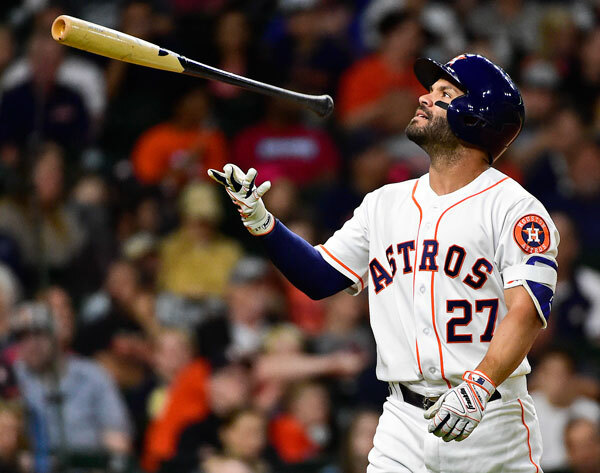 Similarly, Altuve -- who won the 2016 American League batting title -- was 0 for 6. Fans can check out Fan Fest before tonight's game. Mariners: Ace Felix Hernandez, who left Monday's start after the fifth inning with tightness in his groin, will make his next scheduled start on Saturday night in Anaheim against the Los Angeles Angels. Carlos Beltran's single in the eighth inning was his first hit with the Astros since Game 6 of the 2004 NLCS at St. Louis. Houston RHP reliever Chris Devenski threw four hitless, scoreless innings in relief and had seven strikeouts. Dating back to 1990, Devenski is one of three relievers to have two outings of four hitless, scoreless innings with at least seven strikeouts. The other two were Melido Perez and Randy Johnson. Mariners: LHP Ariel Miranda starts in the last game of a four-game series in Houston on Thursday. Miranda was 5-2 with a 3.88 ERA in 12 games, including 10 starts with Seattle and Baltimore last season. Astros: RHP Joe Musgrove will face the Mariners for the first time in his career. Musgrove was 4-4 with a 4.06 ERA as a rookie in 2016. Houston Astros starting pitcher Dallas Keuchel throws during the first inning of a baseball game against the Detroit Tigers.